The caucusâ€™s formation coincides with the arrival of CTE month in February and Congressâ€™s consideration of the Carl D. Perkins Career and Technical Education Actâ€” the sole piece of federal legislation which supports CTE programs throughout the country and represents the largest investment in Americaâ€™s high schools. The National Association of State Directors of Career Technical Education Consortium welcomes the strengthened interest in CTE within the Senate and looks forward to working with the newly formed caucus as they begin a drive for membership within the Chamber. Senators Kaine and Portman have created a great new opportunity for CTE advocates to have their voices represented in Congress. You can help by contacting your Senator or Representative and urging them to join either of these CTE Caucuses. Remember, the CTE communityâ€” that is YOUâ€” are the experts, so please share your knowledge and passion for CTE with Congress as these initiatives and much more get underway. Donâ€™t know who represents you in Congress? Find out here! Yesterday, the White House released a supplemental fact sheet to more fully outline the proposals contained in President Obamaâ€™s State of the Union speech. The fact sheet goes into greater detail about Vice President Joe Bidenâ€™s across-the-board review of existing federal workforce training and education programs and lays out actionable next-steps for how to achieve some of the overarching objectives set by the President in Tuesdayâ€™s address. Of particular note to the CTE community is the Administrationâ€™s refocused goals for the Trade Adjustment Assistance & Community College and Career Training (TAACCCT) grant program. The President has directed the Labor Departmentâ€™s Secretary Perez to focus the selection criteria for the program on â€œjob-driven training strategiesâ€ which seek to replicate nationally â€œjob-driven training partnerships between regional employers and national industry associations that advance the best practices identified throughout the immediate stakeholder consultations.â€ TAACCCT, in its final round of funding totaling more than $500 million, is available to community colleges and other eligible postsecondary institutions throughout the country and will likely be a core element to accomplishing the Presidentâ€™s â€œOpportunity for Allâ€ agenda in the coming year. More information on the TAACCCT grant program can be found here. Earlier this week Senator Lamar Alexander (R-TN), Ranking Member of the Senateâ€™s Health, Education, Labor, and Pensions (HELP) Committee, introduced the Scholarships for Kids Act. This legislation proposes to consolidate a number of existing education programs to fund $2,100 scholarships for 11 million low-income students across the country in an effort to afford greater access to any public or private accredited school of their parentâ€™s choice. To pay for these scholarships Senator Alexander has proposed repealing Titles II through VII of the Elementary and Secondary Education Act (ESEA) and a great many other programs under Title I of that Act. For instance, it proposes repealing programs that support magnet and charter schools, a move which would oddly limit the options available to many students and their familiesâ€” something the bill is aiming to promote not diminish. Most importantly for the CTE community, the entire Carl D. Perkins Career and Technical Education Act (Perkins) has also been included in this proposed consolidation. Unlike ESEA, Senator Alexander’s proposal would repeal the entire Perkins Act, eliminating the sole federal support for CTE programs throughout the country, undermining its global competitiveness, and hampering student access to high quality CTE programs. It is important to note, that this legislation is not likely to move out of the Democrat-controlled Senate Chamber and HELP Committee. NASDCTEc will continue to monitor this and similar pieces of legislation that impact the Perkins Act and the larger CTE community as legislation continues to be introduce this year. The full billâ€™s text can be found here and a press release on the legislation can be found here. 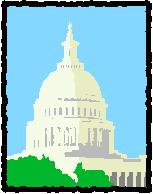 On Wednesday, Senators Chris Murphy (D-CT), Brian Schatz (D-HI) and Patty Murray (D-WA) introduced the College Affordability and Innovation Act of 2014. The proposed legislation seeks to make higher education more affordable for students and promote innovative practices in the postsecondary space that help limit the cost of college. Among the proposals, the bill would create a pilot program that would incentivize colleges and universities to implement programs that offer high-quality education at lower costs, and reduce the overall time for degree completion. Programs such as competency-based degrees, dual-enrollment, and other accelerated degrees were among examples specifically cited in the legislation. The accompanying press release can be found here. 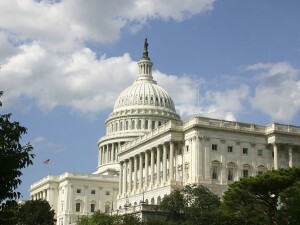 Last week, Senator Tammy Baldwin (D-WI) introduced the Grants for Renewable Energy Education for the Nation (GREEN) Act. The legislation would provide $100 million for a competitive grant program for the development of CTE programs of study which focus on the renewable energy and energy efficiency sectors. The bill would also promote increased energy efficiency and the use of renewable energy practices in CTE facilities and buildings. The press release and full text of the law can be found here. The Association for Career and Technical Education (ACTE) and NASDCTEc are partnering to create a new resource, the CTE Monthly newsletter, which aims to keep Congress and the Career Technical Education (CTE) community informed about CTE events, data, best practices and student success stories. The newsletter will be available each month on our website, and will also be distributed monthly to members of the U.S. House of Representativesâ€™ Congressional Career and Technical Education Caucus. The September edition of CTE Monthly highlights the Manufacturing Career Cluster, the East Valley Institute of Technology in Mesa, Arizona, and a summary of a recent report with relevance to CTE. 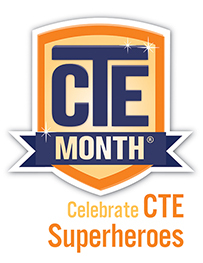 Click here to view the September CTE Monthly.